The more this whole avatar obsession gains ground, the more I release how right Nintendo had it with the Mii approach. The further back from realism it lurks, the better. 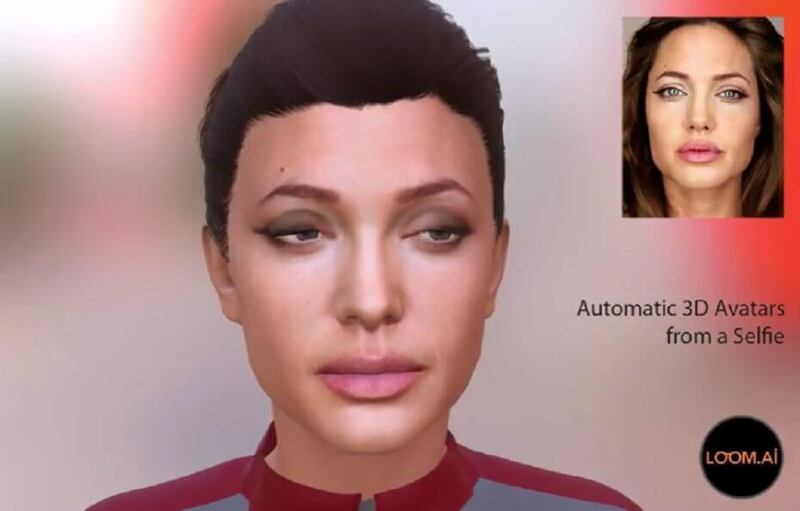 The wider tech world doesn't seem to have gotten that particular memo, almost as if they've never heard the term 'uncanny valley' before. As VR has progressed, more and more advanced approaches to avatar building have been undertaken, and now we appear to have reached peak freakish. Introducing Loom.ia, a start-up who have figured out how to create avatars based on only one selfie, and with pretty staggering realism. It was developed with the aid of DreamWorks and Lucasfilm, both of whom usually specialise in computer effects for movies. Alongside their contributions, the system also relies on machine learning and 'computer vision', which is what you call digital image analysis if people avoid talking to you at parties. Effectively what this does is to boil down a process which typically requires a studio, an array of camera equipment and a human head into one which only needs one selfie. Undeniably impressive, but one still struggles to understand exactly why we would need such creepily realistic avatars. Well, I say realistic, the system still struggles with things like hair and teeth, but typically in CG those are some of the most difficult to get right. You only need look at the character creation systems in games like Skyrim to understand why that is. For some reason in this instance it automatically adds the same blocky hair even if the subject in question doesn't have any. Facebook are particularly interested in this technology because they want the avatars which inhabit their VR realms to react and emote realistically, in order to create a more believable environment. If you ask me, trying to narrow the gap between virtual reality and the regular kind of reality is a fool's errand, especially since none of us really know how prevalent VR will actually become. Nobody has really figured out a way of making it universally applicable yet, and that will need to happen in order for Facebook's lofty ambitions to be met. There's no point in spending billions advancing a system which will never be more than a toy for rich people, only to fade away when the novelty wears off.